My Blogaversary and 1st year of Book Marketing: Report Card | Sally Ember, Ed.D. 08/10/2014 by Sally Ember, Ed.D. First of all, thanks for financial and technical support to my niece, Sarah Miranda, my sister, Ellen Fleischmann, and my son, Merlyn Ember. Thanks, also, to WordPress.com techhies and Q & A and fora participants. Second, but equally important, I am grateful to all of my readers, responders, rebloggers, guest bloggers and/or followers for your interest, suggestions, support and interactions. My site would be dead air without you! On my one-year Anniversary of my Blog, what many call a “Blogaversary,” I am summarizing and analyzing my accomplishments and progress, to date. Let me know what you think! I ended my first full year of blogging with 243 Followers. 208 followers are on WordPress; 35 are on Tumblr. Today (8/9/14), I have 128 Backlinks. My ALEXA international rating is 419,061 out of over 4 millions sites. For the USA, sallyember.com is rated 68,034 out of over 2 million sites. If you want to check your site’s rankings on ALEXA, get the free extension to your toolbar and check about once every few days by going to your main page/splash page, then clicking on that icon on your toolbar. I aspire to have a Google Page Ranking: yet to be earned. I figured out early on how to cross-post each of my blog entries to my personal/author’s pages on Facebook, Twitter and LinkedIn (although I mysteriously have to “refresh” this connection periodically, according to prompts from WordPress). Later, I added Goodreads, Amazon, Shelfari, BookLikes, and Google+ as well as my Spanners Series page on Facebook as automatic recipient posting sites. About twice a month, I utilize one of the images in each of my original content entries and put those posts on my Pinterest “My Blog Posts” board, which then automatically cross-posts to Twitter and Facebook, again. Mostly due to these cross-posting, my Followers on Twitter, Pinterest, Facebook, LinkedIn and Goodreads have all increased dramatically. When I started my Blog, I was brand-new to Pinterest, Author Central, and my series’ pages, and mostly inactive on LinkedIn and Goodreads; and had only 7 Twitter Followers. Here are the Blogaversary comparison stats. My highest-ever number of views in one day was 197, spread around several posts and pages. 200 of my 357 posts (about 40 are reblogs) had 10 or fewer views. These include ALL of the Serialized Excerpts of my sci-fi series, Volumes I and II, most of the reports of these books’ reviews, and many others that I thought were more popular than that. One of my posts was featured on “Freshly Pressed,” the elite selection gleaned from among all daily blog posts, highlighted for that day in WordPress’ Blog Reader! The rest are 60 or fewer; many are just 1 or 2, so far. I learned a lot about how to assess my book marketing efforts from many people. I excerpt from PROMOTING MY BOOK , by Lee Gale Gruen, with my commentaries as to my progress/use of these ideas and link to Lee and her sites at the end of this section. I am therefore scoring myself on Book Marketing for my first two self-published ebooks according to Lee’s great list, below, of marketing tips and ideas. Let’s see what I learned! 1. Read websites and books such as APE by Guy Kawasaki and Michael Kremer’s books. I also join and watch many free webinars, teleseminars, and Google+ Hangouts On Air regularly for more tips. 2. Join writer’s organizations. Learn from your peers. I joined several here in California with great successes. I will be looking for writers’ groups/clubs in St. Louis in September. Any recommendations? 3. Network at writers’ groups, conferences, online forums, etc. I’ve only been to one conference, so far, but may go to more. How are they worthwhile? 4. Check writers’ websites, materials, author talk/book signings. Learn from their examples. I need to more of this but I do follow quite a few writers’ blogs and learn from their posts. Lee also talks about “creating” one’s own marketing “tools,” and I get an A+, here! I’ve done them all and I hadn’t even seen this list prior to doing them! 2. Purchase your website name (domain) immediately. Thanks to my niece, Sarah Miranda, I did this right off! sallyember.com is MINE! 3. Print flyers with your book cover, synopsis, photo, and bio to hand out at events. I have done this and gotten some new readers from it by handing them out at my writers’ groups. 4. Get business cards. I got free ones from KLOUT, at first, then ordered almost-free ones from Vistaprint.com. 5. Compose a cover letter to email to prospects. I have done this for, in my case, book reviewers. 6. Post a video of yourself discussing your book on http://www.YouTube.com. I did this by accident: the Q & A for my Book Launch talk didn’t work, so there is a 2-hour monologue of me on my youtube channel. Also, 2 more vids of me reading chapters from each of my ebooks and book trailers are on that channel. Starting August 6, almost-weekly episodes from CHANGES, my Google+ HOA, are also there. 7. Add an electronic signature to your emails with links to your website and video. I had done this, but then my son said a signature with many links after it is viewed as “spam” and “shouting” at email recipients, so I removed them. What do you think? Lee’s advice for how to “Promote Yourself” caused me to realize how much I still have to accomplish here. The BOLD ones are TO BE DONE. 2. Give author talk/book signings. 3. Volunteer to speak at book clubs, speakers’ bureaus, panels, etc. I have volunteered to some book clubs, but no invitations have arrived, yet. 4. Mention your book in conversations using your “elevator speech:” a one-minute synopsis of your book with a hook to grab the listener. I don’t do this as often as I should, but I do it. 5. Ask readers to post a review on Amazon and Goodreads. If I could find my readers, I would do this more! I wish readers could “opt in” to “author can find me” lists. 6. Submit articles. I’ve been published in my local newspaper and my retirement newsletter. I want to do this. 7. Join HARO (http://www.helpareporter.com) to submit yourself as an interview subject for writers and journalists. I’ve had 6 interviews and will be in an upcoming book. I’ve started my own Google+ Hangout On Air, submitted responses as an Expert on Quora and Ask an Expert, and am considering joining this org, next. 8. Write a blog of interest to your target audience. http://www.sallyember.com is mine. Is it of interest? 9. Look online for similar blogs. 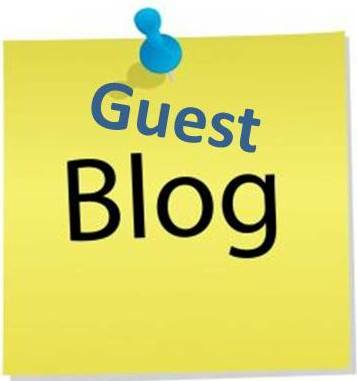 Submit guest blogs. Links to my guest posts are on my site. Look to the right and scroll down. 10. Build an email address list. Email a notice of each appearance, blog, etc. I’ve been slowly building this list, but many commenters or followers don’t provide and I can’t find their email addresses, only Twitter handles or website URLs. How do I get email addresses without paying to get them via a service? 11. Host a book giveaway on http://www.Goodreads.com. Goodreads still doesn’t allow ebook giveaways. SNOBS. 12. Network or search online for professional reviewers. I submitted my book to http://www.midwestbookreview.com for small press publishers. I only do this when there is no fee. I refuse to pay for book reviews. I earned about a B- for effectiveness, I think (but it’s difficult to make comparisons since I don’t have others’ stats nor know their efforts). If I’m going by the numbers of books sold (Volume II of The Spanners Series, This Changes My Family and My Life Forever, just went on sale June 9) or sold and downloaded since Volume I of The Spanners Series, This Changes Everything, went permafree on April 1 and went on sale December 19, 2013, the dates don’t jibe and the numbers won’t be impressive (to me, anyway). We all have Hugh Howey to thank for that, right? I look forward to becoming more “visible” via this and other parts of my “author platform” in my second year blogging and being a fiction author. Please comment and share your experiences! Best to you all! This entry was posted in Blogging and others' content, Marketing and tagged authors, ebook, indie authors, marketing, Sally Ember, self-publishing, Writers. Bookmark the permalink. Thanks, Gina. I hope you’re right! Aww: NO GUILT, John! Just inspiration, I hope!